Boys & Girls Clubs of Miami-Dade hosted its 49th Annual Golf Classic in Memory of “Bebe” Rebozo on Monday, March 14, 2016. The tournament took place at the Deering Bay Yacht & Country Club, located at 13610 Deering Bay Dr., Coral Gables, FL 33158. The event offered players the choice to simply play for fun or at a competitive level. Event participants engaged in a memorable golf experience, which raised $120,000 for the Clubs’ youth development programs. The programs are based on fostering skills in computer literacy, education, cultural arts homework, educational assistance, and social life competencies, as well as sports and recreation. The daylong tournament began with a putting contest at 11 a.m. and was followed immediately by a shotgun start. All golfers received a gift bag, complimentary parking, green fees, cart, and range balls. McDonalds and Olive Garden provided lunch to the golfers, and Hooters provided on site snacks. 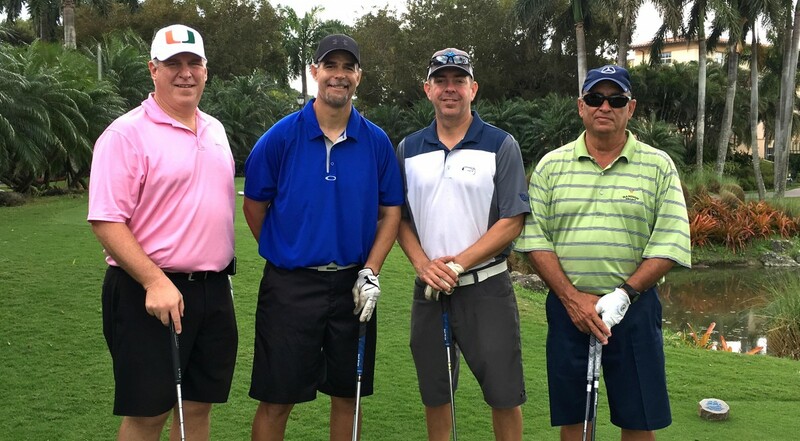 Former Major League Baseball player Mike Lowell was this year’s celebrity golfer, and professional Long Driver Bobby Bradley from Charity Golf International was on site to raise additional funds for the organization. Immediately following the tournament, the day concluded with an awards banquet and ceremony at 5:00 p.m., which featured a delectable buffet style dinner, cocktails, raffle items and a live auction featuring prizes such as vacation stays, sports memorabilia and more. Sponsors included McDonalds, Wells Fargo Advisors, Wells Fargo Insurance, Stretch Zone, Bermont Advisory Group, Carmen Rebzo Foundation, Ocean Bank, Miami Marlins, Pinecrest Magazine, Tasco, Power Crunch and Olive Garden.